Useless loss! Rockies led most of the game (4-0 and 5-0) but they lost the game in 10th inning. 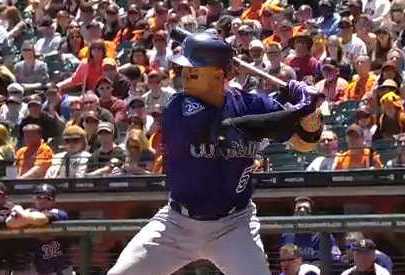 Do we need homers by CarGo and Tulo? No, if our pitchers will blight the game. Nicasio shown us that he can´t be in the rotation. He again didn´t pitch more than 5 innings. Outman burned today. But after 9 innings the game was tied 4-4. In 10th inning shout Tulo solo homer and Betancourt had to save the game. Unfortunatelly he walked first batter and than Pagan fired walk-off inside the park home run and finished the game. Tomorrow we will see how strong mentality have Rockies players.